When I strolled into the hotel room where Année de Mamiel was holding court on a chilly afternoon last spring, I felt a keen awareness that I had just entered the presence of a guru. It's not an inaccurate descriptor for the UK-based esthetician, whose unique blend of skincare, energy healing, and Eastern medicine has earned her a devout following—and a three-year waiting list for an in-person treatment. The opportunity to meet with such a coveted figure in the industry was not lost on me, especially as a fan of de Mamiel's eponymous product line, which is grounded in this same skincare-meets-mindfulness philosophy. These aren't DIY-inspired essential oil blends. It's a luxury collection to be sure, peddled by high-end retailers like Net-a-Porter and Barneys. But in the presence of de Mamiel herself, I was immediately struck by her open and palpably grounding demeanor. This was not the energy of a high-end facialist but a healer. I left the hotel feeling brighter both physically and mentally, with one thought: Could she just tell me how to live my life in her calming British accent? The next morning, as if she had heard my call to the universe, I had an email in my inbox from de Mamiel with a multi-page "prescription" encompassing everything from skincare to diet to digital detox. And obviously, I had to follow the advice of my newfound guru. I'll start with one week, I told myself, because I historically have trouble committing to anything beyond a few days—especially when other areas of my life are in overdrive. But as I'd find out, de Mamiel's protocol was crafted to enhance my well-being far beyond seven days. Over the next several weeks, I became downright addicted to her advice, which ultimately benefited my mind and body in ways I couldn't have predicted. Keep reading to see de Mamiel's prescription for my skin and the impact it had on my mind and body. While de Mamiel emphasizes treating skin from the inside out, topical habits are still an important element. Since dryness and congestion were some of the concerns I named with my complexion, she recommended paring down my routine to focus specifically on hydration. One of the key things she named in my protocol was double-cleansing—a departure for me since I've always worried that over-cleansing might dry out my skin. But de Mamiel insisted that with the right products, this wouldn't be the case: "The first cleanse just takes off your makeup, and the second cleanse begins to feed your skin." 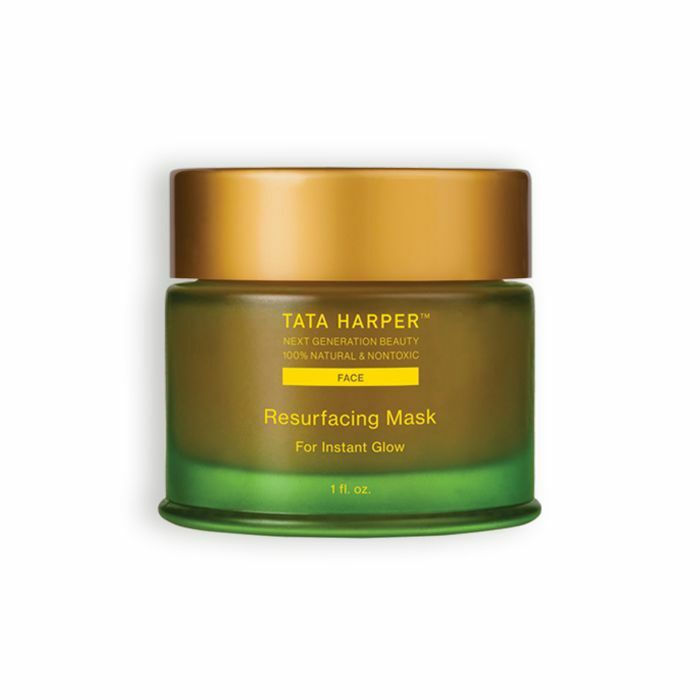 For the initial cleanse, I began using my go-to makeup remover, Tata Harper Nourishing Oil Cleanser ($76). 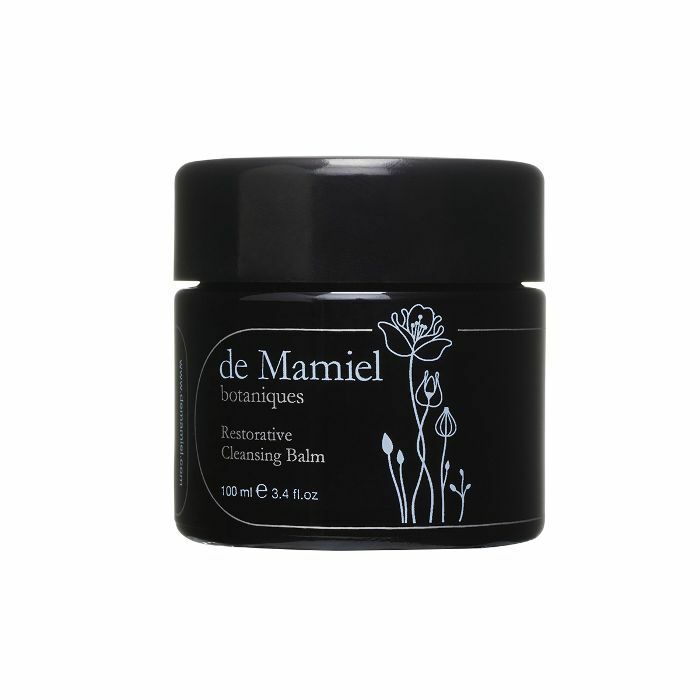 For the second, de Mamiel suggested using her own Restorative Cleansing Balm ($64), a product I know and deeply love for its luscious texture and calming scent. "This is where I would like you to spend some time doing a facial massage," she advised. Really, this second "cleansing" was more of a transitional step into moisturizing. And taking the time to knead the balm into my face—particularly around my jawline, which is always incredibly tense—quickly became my favorite part of my nighttime routine. 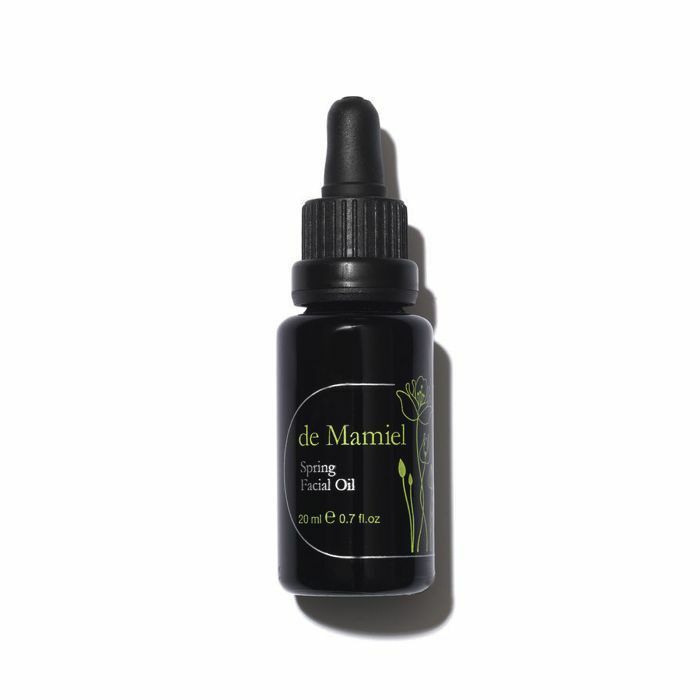 De Mamiel also prescribed a couple of her signature facial oils, including this formula which is packed with grapefruit, geranium, and calendula—all botanical ingredients that deeply hydrate and detoxify while simultaneously treating inflammation. During my treatment, we touched on the ever-persistent myth that face oils can cause pores to become oilier or more congested. But the opposite is actually true. When we treat our skin with oils, we help our natural moisture barrier regulate itself and in turn prevent it from overcompensating for dryness. Doing this, she says, actually helps restore the skin's natural balance. 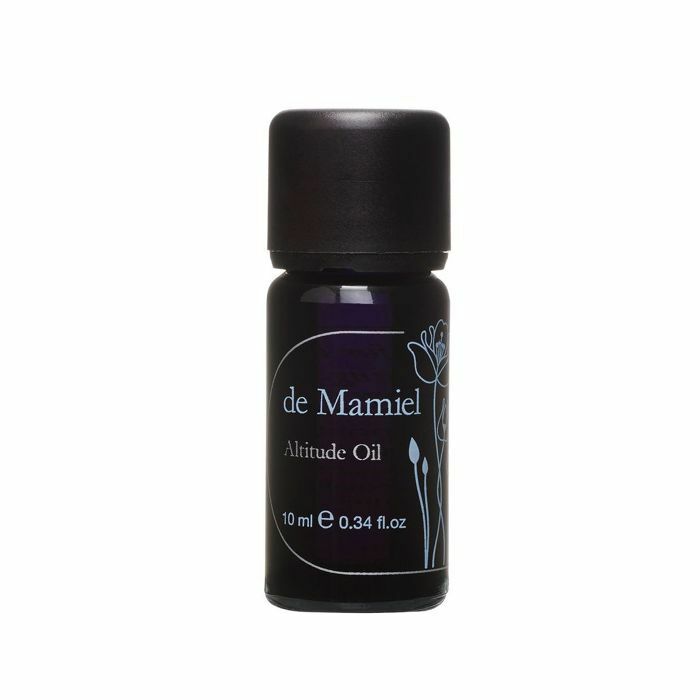 And because de Mamiel's formulas are all grounded in aromatherapy, application is always a two-part ritual. I was to massage it into my skin, sure, but I was also instructed deeply breathe in the scent at the same time. 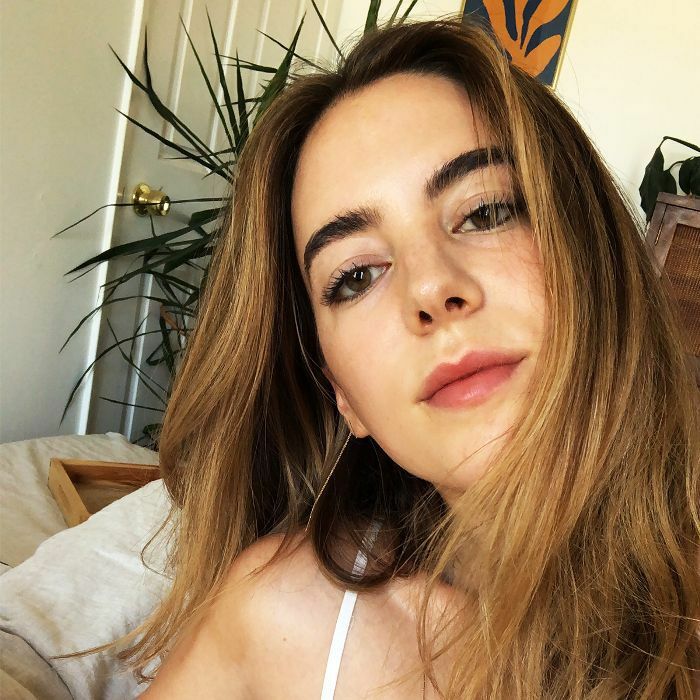 Doing this brought a kind of mindfulness back into my skincare routine—something that I hadn't really embraced since I first got into skincare. Estheticians frequently remark about how much I clench my jaw, but de Mamiel was the first to offer practical advice to remedy that. For starters, she gave me a low-key brilliant tip to purchase red stickers and place them around my desk and home. 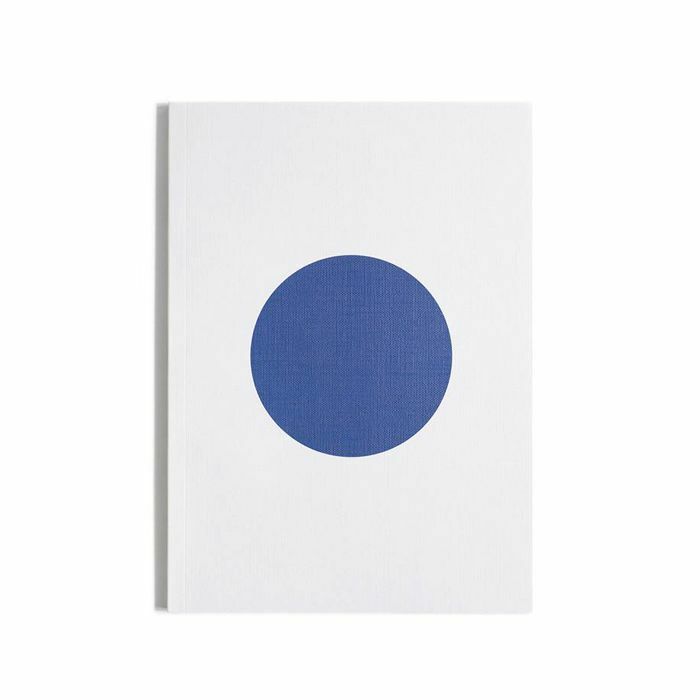 "Whenever you see a red dot, make the effort to relax your jaw," she said. "Soon, you'll start doing it automatically when you're sitting at a red light." Genius. She also advised keeping her Altitude Oil ($44), a potent essential oil blend, by my desk. "Whenever you sit down and look at your screen, open your jaw to release some tension, and breathe in the oil," she said. Ah, yes—advice oft received and rarely practiced. When the nature of my job is spending my time online and on social media, it's easy to conflate leisurely screen time with work obligation. But de Mamiel recommended taking a step back and approaching it in a far more manageable way than shutting down cold turkey. Take meal times, for example, during which I tend to zip through my inbox as I shovel food into my mouth: "Put down whatever it is you are doing, ditch the devices and shut off the emails for just 10 to 15 minutes to sit and eat," she said. The same went for logging off before bedtime. "One thing that should be a non-negotiable is to have a curfew of switching off all blue-light devices like phones and tablets a minimum of one hour before you go to bed," she recommended. I took these words to heart and was immediately struck by how much easier it was to fall asleep at night and, moreover, how unnecessary it was for me to be online at all hours in the first place. This is where de Mamiel's knowledge of Eastern medicine really began to shine. She immediately recognized, as many Ayurvedic and TCM practitioners I've worked with have before her, that my digestive system is easily thrown out of whack—something that has a direct impact on the nourishment and balance of my skin and psyche. "We need to really look after your Earth element," she said. Eastern and Western practitioners can all agree that our gut health has countless ties to our overall well-being. Our skin, mental health, and digestion are just a few of the avenues in which this balance of good bacteria can manifest. When I confided in de Mamiel that I was feeling sluggish and chronically stressed, she immediately advised taking special care not just of the food I was eating but also of the consistency of my meals, the quality of my sleep, and more. "I believe that possible gut imbalances may also be impacting the health of your adrenals and therefore heightening anxiety, which may also be affecting your sleep since the gut manages a lot of positive mood neurotransmitter hormones," she said. In other words, just about everything can be traced back to this delicate system. So in addition to paying specific attention to the foods I was eating and clocking very consistent mealtimes, I also began to supplement with a daily probiotic. 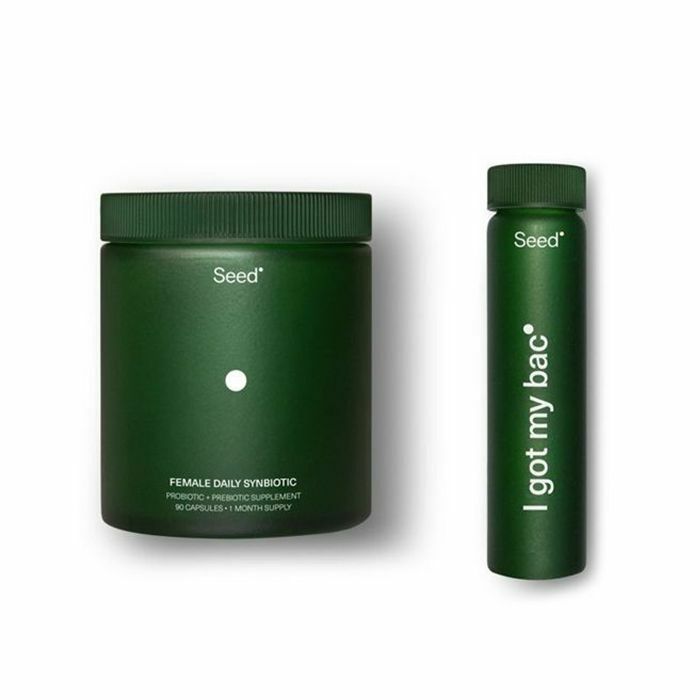 Seed's revolutionary Synbiotic ($50 for a month supply) was formulated to target body-wide inflammation and energy levels, and it has quickly become a staple in my morning routine. Just a couple of weeks in, I knew there would be no turning back. I am staunchly of the belief that while everyone should make an effort to be a conscious consumer, we also need to honor our bodies, especially if something is clearly out of balance. My mood, energy levels, and even muscle tone drastically improved once I started incorporating these foods into my diet, and it was ultimately the right decision for me. I know to unplug an hour before bed. I know that journaling helps keep me sane on a daily basis. I know that I sleep better when I take the time to wind down with deep stretching and a good book before bed. I know all these things, but I'm also very good at making excuses for not engaging in these very positive rituals. There's always one more email to reply to, a pile of laundry to put away, a TV show to binge-watch. But de Mamiel couldn't stress the importance of reclaiming these rituals enough, and it was a good opportunity to reflect why I struggled to invest this time in myself. I realized that after a long day of tackling an endless to-do list, I'm either still in hyper-productive work mode or practically comatose. There's rarely any in-between. So after giving myself permission to have those occasional days when I park myself in front of the TV and watch my favorite lowbrow-brilliant shows (ahem, The Bachelorette), I also vowed to shut my computer after dinner and just give myself the freedom to care for myself in whatever way I see fit. This sense of flexibility proved to be the key to taking back my evenings. Instead of feeling the pressure to check off yet another to-do list—even if it consisted of self-care rituals—I just took it one day and one activity at a time. Some evenings, I journaled. On others, I went for a walk. I remembered that cooking dinner, which can feel like a chore during the workweek, is actually pretty meditative when I approach it as less of an obligation and more as an opportunity to connect with the planet and myself. Even my skincare routine became an opportunity to let go, especially on busier days. "It's another chance to be mindful, rather than finding extra time in the day for meditation or something completely new," said de Mamiel. All in all, I realized that I didn't actually have to change that much in my daily schedule. Instead, it was about shifting my perspective and, above all else, slowing down. Was de Mamiel's advice radical? On paper, not necessarily. Much of it, after all, was information that I already knew. But I had also failed to apply it all to my life in the past, so feeling genuinely empowered to actually transform my well-being in small ways was revolutionary. It's more amazing still to consider how what began as a journey to better skin evolved into something much bigger. And that, of course, was de Mamiel's aim all along—to see my skin as the jumping point for a much deeper journey into self-care. It's why Eastern medicine is such an important touchstone for her practice. It's why her products, as luxurious and gorgeous and effective as they are, are formulated with mental wellness in mind. Because while dewy and clear skin is great, there's genuine beauty in caring for your mind and soul in the mere act of slowing down. This wasn't a crash course in skincare but in experiencing just how these different elements of my well-being work in tandem with each other. And in doing so, I found new meaning in that ever-aspirational "lit-from-within glow." Next Up: the 8 products that keep my skin from freaking out while traveling.